The management of language packs and keyboard layouts can be very complex. I have seen that in a lot of projects. Often there is the requirement to preconfigure the computer with the correct language pack for the user. 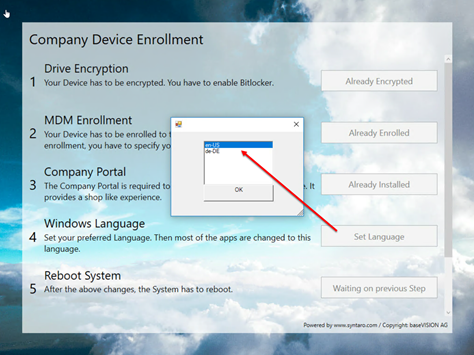 Use the built-in Feature of Windows to allow a user to change the language: A normal user is not a local administrator and therefore cannot install a language pack. If you have to include all the language packs in the base image, it will grow and makes inplace upgrades more complex. 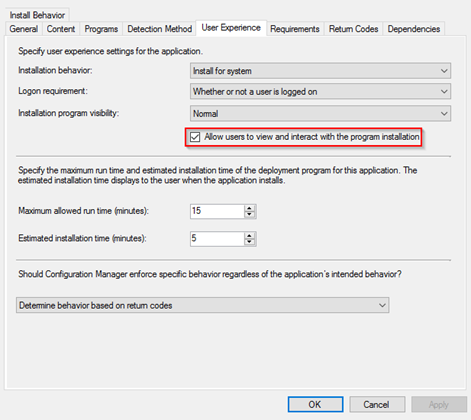 A deployment over Intune is not possible and in ConfigMgr it requires recreating the packages with each Windows version. At the moment I work only in modern managed environments without ConfigMgr, which forced me to find new ways to configure per user settings on a device. Windows Autopilot is a great start, but just allows a few settings. Therefore, I created the Advanced Autopilot App, which is launching in full screen and is available on Syntaro. One possible step for the end user, is setting the correct language according to the choice of the end user. The script will set the chosen language with an override, which will really force the system to use this language. If it is not available the language pack will be downloaded from the internet. The following code will create a Window with a list of all available languages.